Rural house away from the bustle of Conil, but only 10min by car. 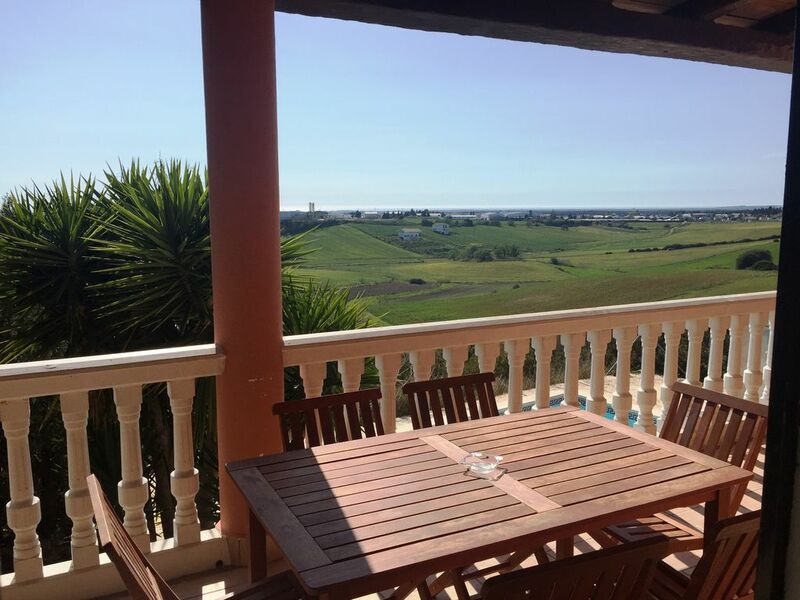 Its views of the entire town of Conil within the tranquility that inspires living in a rural environment five minutes from the beach will make you fall in love with it. This Villa is located in one of the best rural areas, ideal for rest and disconnection at any time of the year, highly recommended for families with young children, as well as living a couple's holidays in which to disconnect from the busy work year and live unforgettable experiences that are impossible to repeat. It is located ten minutes by car from the beach of Conil, where we can bathe in the white sands and transparent waters, accompanied by its wonderful temperatures, which make us bathe in it throughout the year. Another particularity of this house, is to be able to hear the singing of the birds throughout the day. In ten minutes by car we can reach the beach and the historic center of Conil, where you can taste the traditional food of the area facing the sea, as well as walk through one of the most beautiful white villages in the area. Our house is located on a plot of one thousand meters, in which there is a chalet, where we have a large garden, private pool, plus a large parking lot, with the best views of the village area, from where we can see, some days , the African continent in addition to the entire coastal area of ​​Conil and the like. The house has capacity for six people, consists of three bedrooms, one with double bed and two of them with two beds each, two bathrooms and a toilet, living room and fully equipped kitchen, large balcony, roof terrace, garden and private pool. The house has a full kitchen, dishwasher, washing machine, safe, iron and board, hair dryer, wifi network. If there are 7 people you would have to put an extra bed (ask, supplement).